Microsoft is transforming business processes – thus enhancing productivity. At the heart of this mission is Microsoft Flow. Microsoft Flow offers rich workflow and business process capabilities for the Business Application platform, and for the Dynamics 365 and Office 365 services that build on that platform. 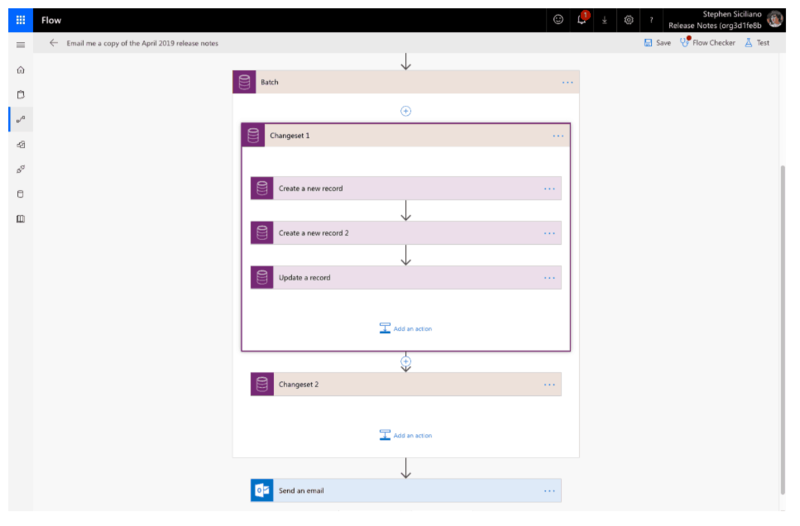 Microsoft Flow is the “connective glue” that is used by end users and app developers alike for digital transformation, no matter what application they are using. Microsoft Flow now provides a unified landing page for pending approvals and personal business process flows. Microsoft Flow will now provide a unified landing page for approvals and business process flows. This page not only allows users to view approval requests pending their action but to also take action on this page. 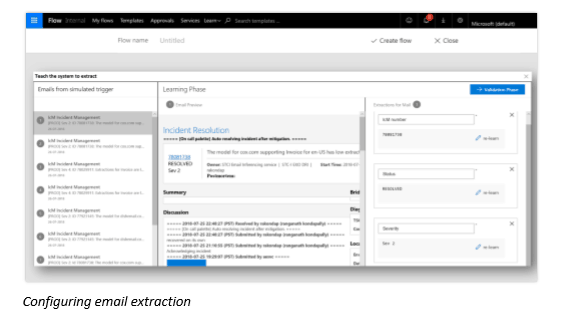 Now, with the intelligence and features in Microsoft Flow, it is possible to extract and act upon content from the body of an email, pdf, or other documents. This functionality allows users to retrieve data that can drive logic in a flow and be used in downstream connectors. Tables or specific entities from documents can be extracted. All you need to do is select the text that you want to be extracted, and then when the Flow is triggered, the data will be extracted from the content. Beginning in June, Flow will have the same features as existing Dynamics 365 Processes. Automated flows will replace the existing Classic Common Data Service (CDS) for Apps workflows. With the release of Feature Parity, it is now possible to accomplish all scenarios that asynchronous classic CDS for Apps workflows supported with automated flows. Microsoft is launching new training material, new learning paths, and tutorials for Microsoft Flow. Microsoft Learn was developed to enable you to enhance the skills required to advance your career. The new Microsoft Flow learning paths will include interactive environments that provide free access while you are walking through a tutorial. As a part of these tutorials, contextual tips will also be offered, pointing at exactly what the user needs to do next. 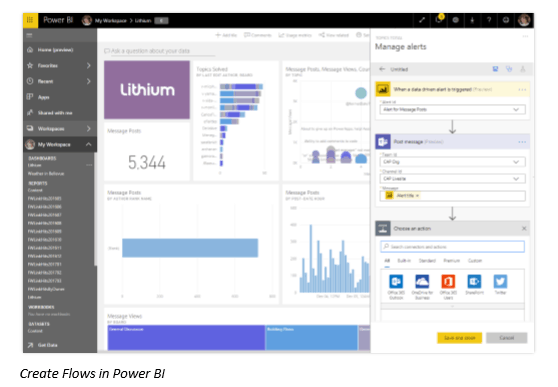 Power BI is expanding its integration with Flow to make it even easier to go from insight to action. Data alerts keep you up to date through notifications in the web, mobile apps, and emails. 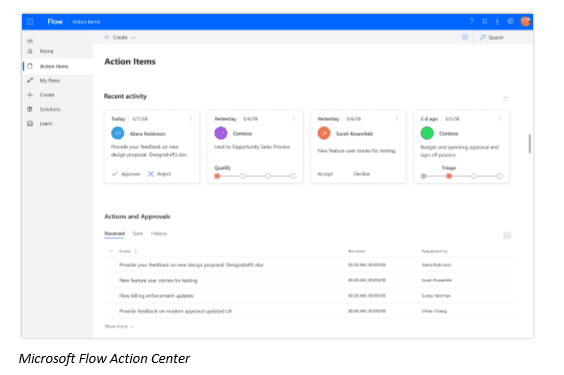 With the Microsoft Flow and Power BI integration, alerts can trigger actions in other systems such as Microsoft Teams, the Flow mobile app, the SharePoint mobile app, and text messages for endless opportunities to enable collaboration and automation. The process of creating a flow from a data alert has been simplified. We have highlighted our top 5 new features coming to Flow over the next few months, but there are many more you can review in the official Release Notes. enCloud9 are experts at Dynamics 365, PowerApps, and Flow. Contact us today with any questions you may have. We look forward to hearing from you. 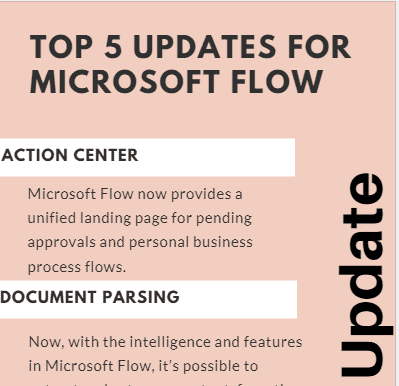 Download our infographic about our top five new features coming to Microsoft Flow. Have questions about the April 19' release?